← So, how did Mr. A and friends, spend their ‘Thanksgiving’? Above Machu Picchu for Ailsa’s Travel Theme. 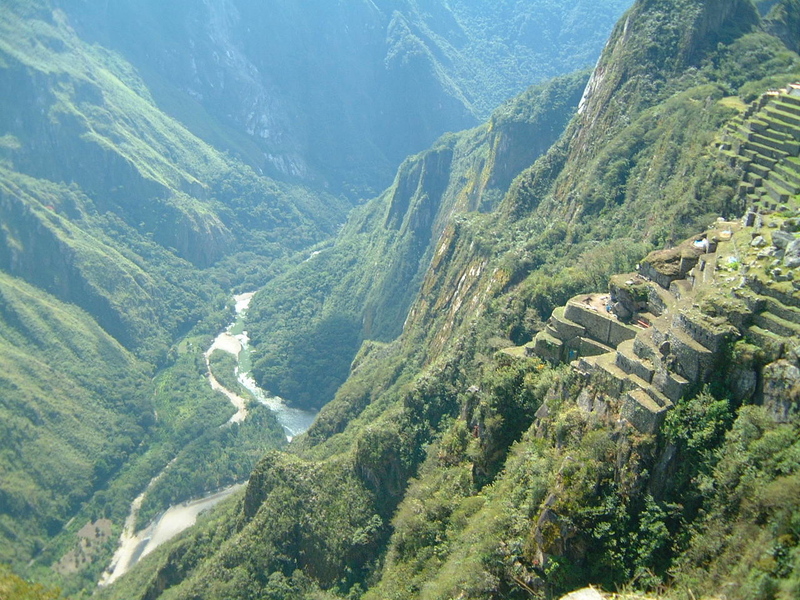 Ailsa’s Travel Theme this week, brought to mind the wonderful view from the top of Machu Picchu, the ‘Lost City of the Incas’, which I was privileged to visit in 2003. 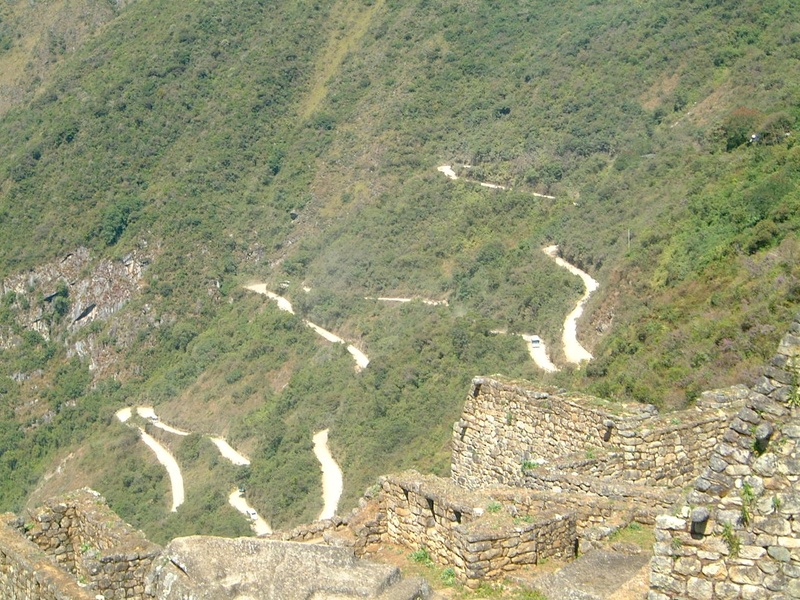 This ancient Inca city, is believed by most archaeologists to have been built as an estate for the Inca emperor Pachacuti (1438-72). It had lain hidden amidst dense jungle-covered mountains until in 1911, when American historian Hiram Bingham, announced his discovery. The well-preserved ruins overlooking the Vilcanata river valley, seem to almost cling to the steep hillside, and are surrounded by colossal green mountains. Even if you’ve seen photos of this wondrous structure, it doesn’t really prepare you for the breathtaking and awe-inspiring sight when you see it firsthand. Of course, to see the amazing views from above, you have to actually get up there, and we were transported at speed along this narrow winding road with many hazardous hairpin bends. Meeting another vehicle head on seemed a very likely possibility, but the drivers were fortunately very experienced, and although my heart was in my mouth most of the way up and down, we made it safely. To see more entries for Ailsa’s Theme, just click here. Oh, these are beautiful photos. Thank you for sharing them. Beautiful shots Sylvia. Brought back vivid memories of our visit a few years later. Thanks, Madhu. It’s a really unforgettable place. Yes it was, Lola. I can’t imagine living all the way up the mountain in such an isolated spot. Incredible capture Sylvia. I really enjoyed this fabulous landscape photos. Wonderful place Sylvia ! Great Choice ! ha – and how fun…. Brilliant photos Sylvia, just absolutely cracking. My mum and dad used to have ‘Saturday boys’ to help them out at work. One of them left to travel and sent me postcards, one of which was Machu Pichu. He (and his older brother who also worked for m and d) came from a poor Catholic family on a rough council estate. The older one went on to become a successful lawyer, and the Machu Pichu one went into journalism. So whenever I see Machu Pichu I think of them, how they had a poor start in life and got somewhere, maybe my mum and dad helped them a teeny bit of the way. Who knows. Such a stunning location, beautifully captured Sylvia! Thanks for sharing the photos and information. In 1972 we were in South America we al wanted to visit the Incas. Sad to say the young ones, like us, could not go because we did not have the money. Those who had the money could not go because they were too old, (breathing problems) Would have liked to go there. Your photos only make me more excited at the prospect of our trip in June! Wonderful captures Sylvia! That is UP there! Thanks for the great share. 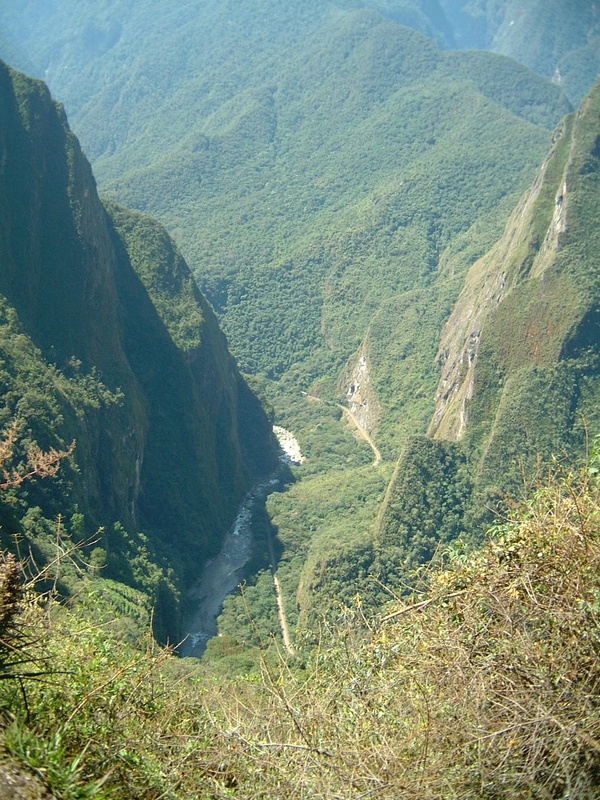 I’m not sure I would have been brave enough to endure that road (without a tranquilizer!) You are so very courageous, but I bet it was all worth it in the end. The place has to be more stunning than pictures can capture. For me, the second one is awesome! That mountain road looks like a snake with all its turns and bends. We have been my fair share of mountain roads in Taiwan and I know how scary they can be. However, the view is usually worth it and it your case, it was magnificent. 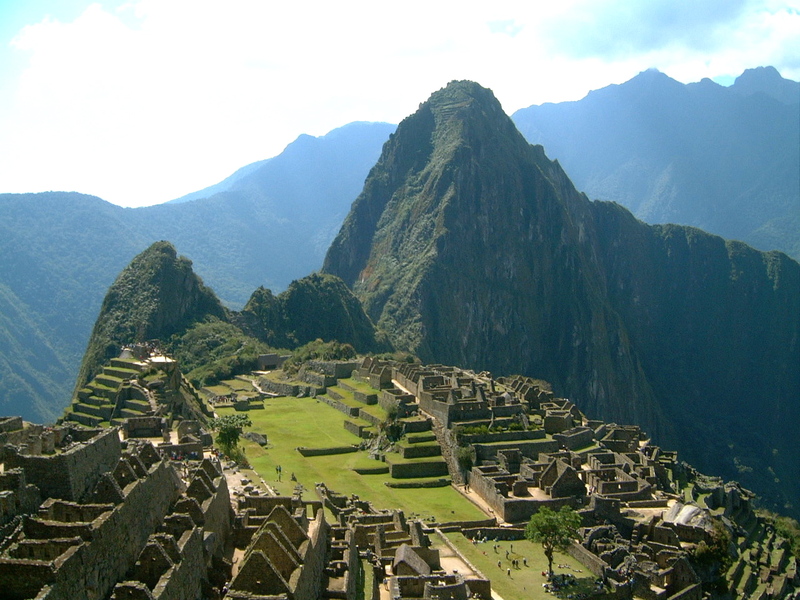 I would love to see Machu Picchu. De ja vu 😀 Always an awesome sight, Syl. I never tire of these iconic views, Sylvia. Breathtaking. Getting there was indeed worth it. What an incredible place…lucky you. Wow! The views are stunning. The secrets that remain untold here. Just beautiful and breath taking. I’m happy with the view in my comfy chair. Breath taking pictures even for non-first hand view! To build the city this complex and using the stones is amazing.